A son who was convicted of smacking his mother in the face with a pan claims he struck out 'by accident' after snooker ace Ronnie O'Sullivan took a bad shot in a TV match. James Gregson, 44, now of Heyhouses Lane, St Annes, was given an 18 week jail term, suspended for a year, after he was found guilty of assaulting his mum Christine, 71, at her home in Thornton-Cleveleys on April 29 last year. He was also ordered to pay £200 compensation and £200 costs after what the bench deemed was a breach of trust in her house hold, and that it was committed in drink. 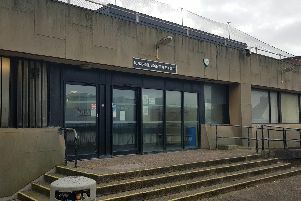 Gregson took his appeal against his conviction and sentence to Preston Crown Court, arguing he had flung his hands up in disbelief - while still holding a pan he was eating dumplings from - when O'Sullivan made a bad shot. He claimed at the time his mother had been sitting to his right on the sofa. But prosecutors challenged him, noting the wound to her lip was on the right of her face, so was unlikely to have occurred from that position. It was previously alleged Gregson was annoyed his mother had not eaten some dumplings he made for her and his nan, and had stood over her, hitting her with the pan as she went to sit down on the sofa. Gregson then unplugged the phone so she could not call the police, before leaving the property. Giving evidence during his appeal, he denied allegations that he had previously been "unpleasant and belittling" to the pensioner. But he made a remark that he couldn't call what his mother did 'cooking', adding: " She cooks frozen ready meals, it's not hard." Judge Beverley Lunt, sitting with two magistrates, asked: " Is that the sort of thing you say to your mother?" His appeal was later thrown out.